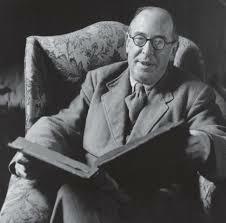 C. S. Lewis may well be the most influential twentieth century English language apologist. The following resources provide information and perspective on his apologetics. Baggett, David, Gary R. Habermas and Jerry L. Walls, eds. C. S. Lewis as Philosopher: Truth, Goodness and Beauty. Downers Grove: InterVarsity Press, 2008. Burson, Scott R. and Jerry L. Walls. C. S. Lewis & Francis Schaeffer: Lessons for a New Century from the Most Influential Apologists of Our Time. Downers Grove: InterVarsity Press, 1998. Cunningham, Richard B. C. S. Lewis: Defender of the Faith. Eugene, OR: Wipf & Stock, 2008 reprint of 1967 ed. Dorsett, Lyle W. Seeking the Secret Place: The Spiritual Formation of C. S. Lewis. Grand Rapids: Brazos Press, 2004. Downing, David C. The Most Reluctant Convert: C. S. Lewis’s Journey to Faith. Downers Grove: Inter Varsity Press, 2002. Duriez, Colin. “Lewis, C. S.” New Dictionary of Christian Apologetics, W. C. Campbell-Jack and Gavin McGrath, eds. Downers Grove: InterVarsity, 2006, 402-403. Duriez, Colin. The C. S. Lewis Handbook: A Comprehensive Guide to His Life, Thought, and Writings. Grand Rapids: Baker, 1990. Farrer, Austin. “The Christian Apologist,” Light on C. S. Lewis, ed. Jocelyn Gibb. New York: Harcourt Brace Jovanovich, 1965, 23-43. Geisler, Norman L. “Lewis, C. S.,” Baker Encyclopedia of Christian Apologetics. Grand Rapids: Baker Books, 1999, 420-425. Kilby, Clyde S. The Christian World of C. S. Lewis. Grand Rapids: Eerdmans, 1964. Lindsley, Art. C. S. Lewis’s Case for Christ: Insights from Reason, Imagination and Faith. Downers Grove: InterVarsity Press, 2005. Lindskoog, Kathryn Ann. C. S. Lewis: Mere Christian. Glendale: G/L Publications, 1973. Macdonald, Michael H. and Andrew A. Tadie, eds. G. K. Chesterton and C. S. Lewis: The Riddle of Joy. Grand Rapids: Eerdmans, 1989. Purtill, Richard L. C. S. Lewis’s Case for the Christian Faith. San Francisco: Harper and Row, 1981. Walsh, Chad. C. S. Lewis: Apostle to the Skeptics. New York: Macmillan, 1949. Walsh, Chad. The Visionary Christian. Touchstone Books, 1996. When speaking about C. S. Lewis in class at Wheaton College, Clyde Kilby said he believed that children exposed to the world of fantasy were better able to understand and relate to the real world as adults. Lewis rigorously defends the fairy tale against any who claim that it gives a false conception of life. The fact is, says he, that this is the direct opposite of the truth and it is the so-called realistic stories which deceive children. The fairy tale, like the myth, on the one hand arouses longing for more ideal worlds and on the other gives the real world a new dimension of depth. The boy ‘does not despise real woods because he has read of enchanted woods: the reading makes all real woods a little more enchanted.’ The child reading the fairy tale is delighted simply in desiring, while the child reading a ‘realistic’ story may establish the success of its hero as a standard for himself and when he cannot have the same success, may suffer bitter disappointment. 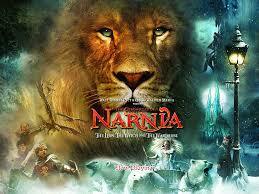 Lewis’ Chronicles of Narnia and other similar books have an important place in a child’s early development. Clyde S. Kilby, The Christian World of C. S. Lewis (Grand Rapids: Eerdmans, 1964), 116.